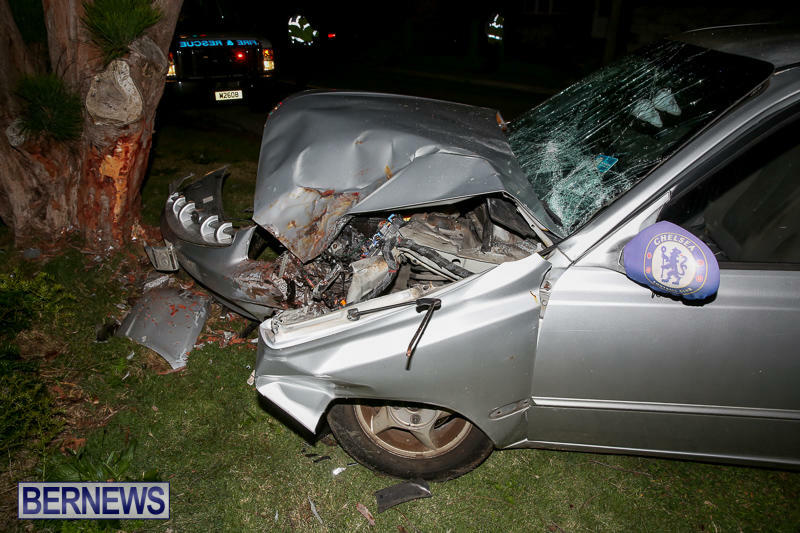 A 46-year-old man was arrested on suspicion of impaired driving after crashing a car into a tree in St George’s, while a 32-year-old woman was also arrested on suspicion of impaired driving after crashing her cycle into a wall in Devonshire. A police spokesperson said, “Around 1:30am on Saturday, February 18th police and Bermuda Fire & Rescue Service personnel attended a reported single vehicle car crash in the Mullet Bay Road, Rocky Hill Park, St. George’s area. 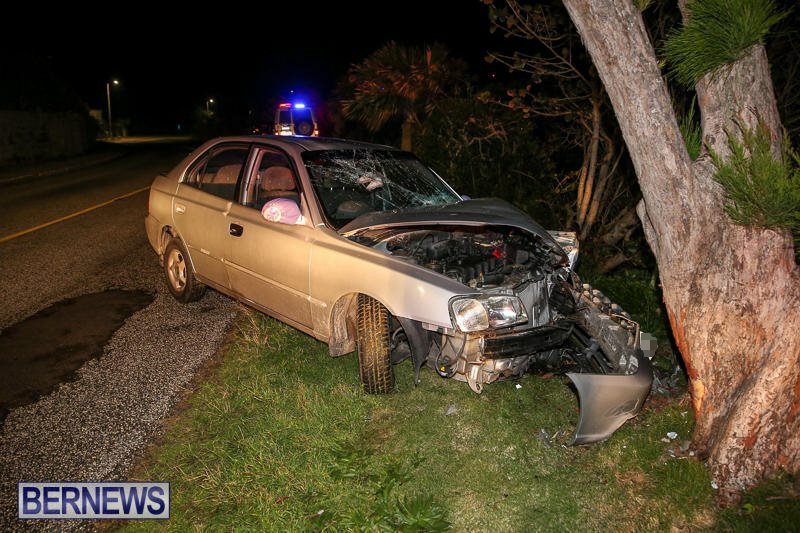 “It appears that the driver, a 46-year-old St. George’s man, was traveling along Mullet Bay Road and struck a tree, sustaining facial injuries which were not serious. “He was subsequently arrested on suspicion of impaired driving. A police spokesperson said, “Around 3:45am on Sunday, February 19th police and first responders attended a reported single vehicle auxiliary cycle crash on South Road in Devonshire, near the junction with Brighton Hill Road. “It appears that the rider, a 32-year-old Devonshire woman, struck a wall and sustained facial injuries which were not serious. She was subsequently arrested on suspicion of impaired driving. “Inquiries continue and any witnesses should contact the main police telephone number 295-0011. A court appearance is anticipated in due course. In other related news, none of the drunks that didn’t crash were caught this weekend. Carry on. Yup.Remember they used to report drunk driving arrests every weekend (except rugby week)? Guess drunks have carte blanche on the roads nowadays, unless they crash. Bars make 70% of their profits in 16 hrs on friday and saturday nights, so where is the enforcement of this law? Great, and alcohol sales are up this quarter, I predict no increase in taxes for the most dangerous drug in the upcoming budget either, just as the Chamber of Commerce wishes. Will the fine be $800 and one year or $1500 and a year and a half, going by other cases, the degree of seriousness plays no part in the punishment. This is a surprising revelation because the tree is usually the one to blame in this sort of incident. Thank you police for checking into this and other things. Both accidents, I am so glad they are okay…it could have been worst. Please folks, lets try…try…not to drink alcohol and drive/ride if you feel tipsy! Is that too much to ask for? Some individuals are so reckless as to drive intoxicated with children in the car.Every crash,every last one dead or alive thought they were able enough to make it home in one piece.